Like you would have made the biggest mistake not loving her. How her "good morning" texts felt like winning the lottery. Or the way she wrapped her arms around you was the next best thing. I always wondered what it was like to fall in love but being at this wedding was the closest thing. This is what it was like becoming a Skinner. Every guest in attendance was there not because of Cody and Paige's love but their love and excitement for each individual. Cody and Paige had something different. Once again, rain poured down with thunder but love was louder. The was an event where smiles turned into laughter and by god was it incredible. 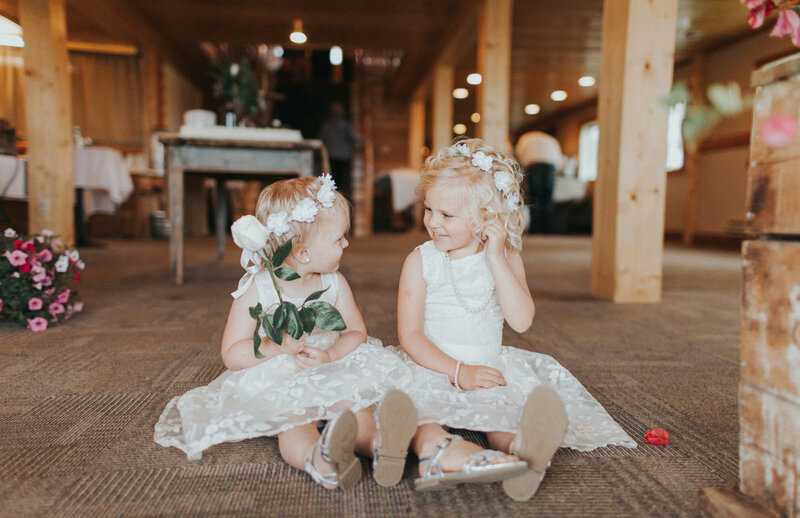 From the warm glow inside the barn to the flower girls handing me white roses, I felt like one of them. I know I'm young and I'm only 21 years old but when I look at these two, the way they hold each other and smile, I can't wait to find my someone in the crowd. Album shot underneath Haley Frost Creative . 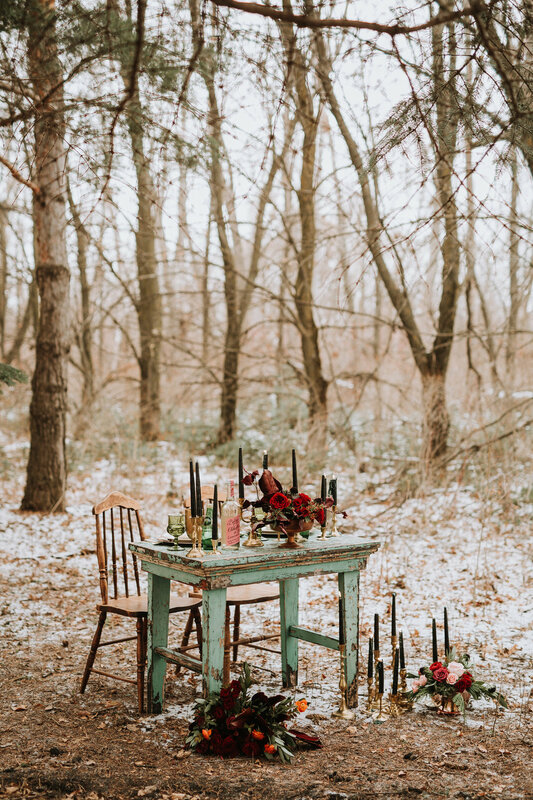 When someone asks me what kind of wedding I dream of, I imagine an untouched field of snow, fairy lights decorating everything in site, and evergreens filling the horizon line. A bit specific but don't we all have our "must-have" dream ideas? If I had the choice, I would most definitely get married on a Christmas tree farm just so I can tell my husband that he will always be my forevergreen. A styled shoot planned in six days sounds quite ambitious unless you have the right team. For the past year, I've been working close with all of these vendors which I am also proud to call friends. The creative base to this shoot was the idea of "love will keep you warm." 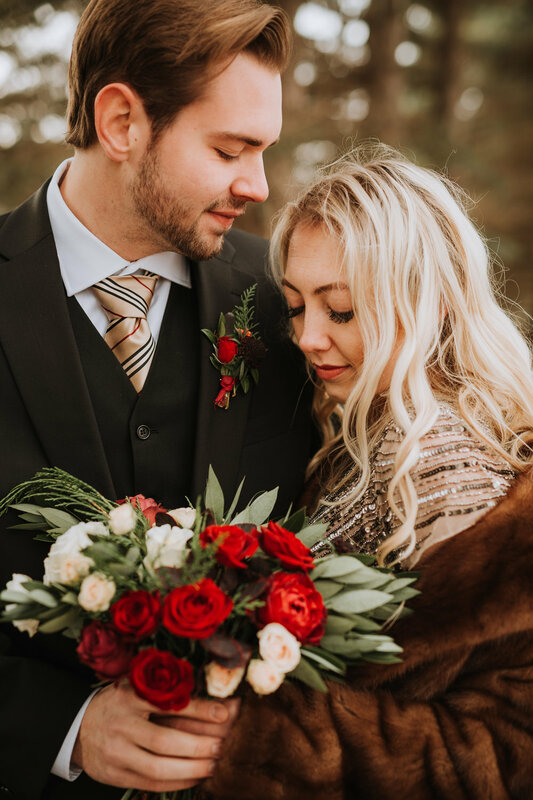 Ben and Haley, a real life couple, were happy to model my impromptu styled session but it was the details I included in the styled shoot is what makes this styled shoot so special to me. Next, I bought the dress from a friend hoping that someday I can use this for my own wedding. 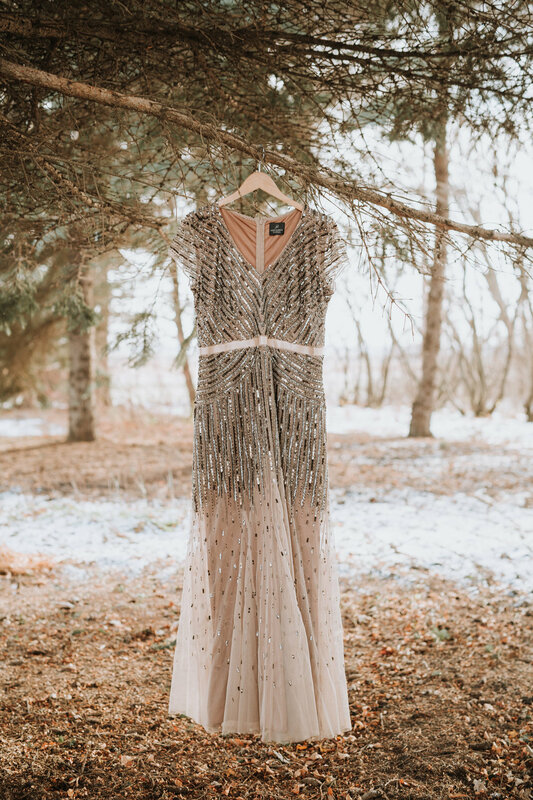 There's just something about this Gatsby-esque dress that draws me to it in the most beautiful way. Lastly, while Ben wears my father's tie, Haley wears my mother's ring. Before my parents separated, my dad gave my mom this ring while I was a baby(not her actual engagement ring). Ever since I was little, I always thought it looked like a princess crown. Honestly, I'm not one for big chunky bling but that ring will always be my favorite exception. Now that my "off season" has officially began, I'm hoping to throw more of these styled-shoots up. For a photographer, I spend 50% of my year running around with my head cut off from wedding to meeting to senior to wedding but the other half of the year I get the chance to dive deeper into the shoots I've always dreamed of. 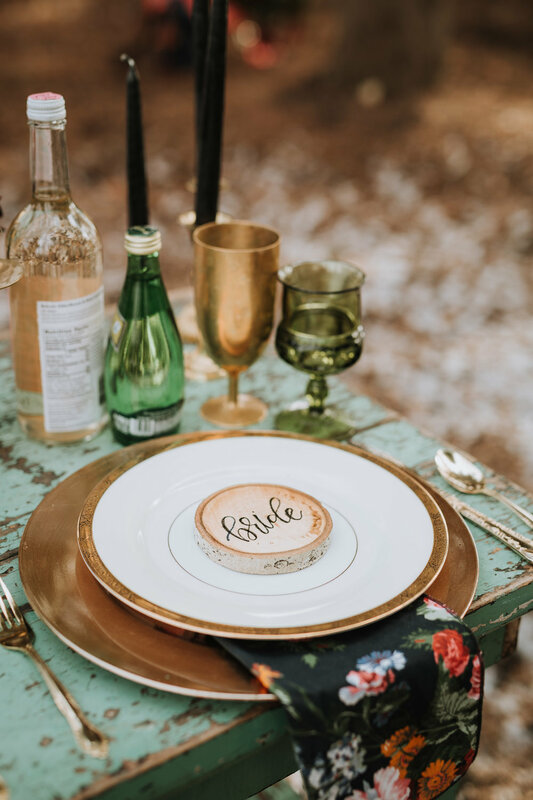 What I love most about styled shoots is that I get to take my time to think and elaborate more on my creative hunch to shoot images like this. 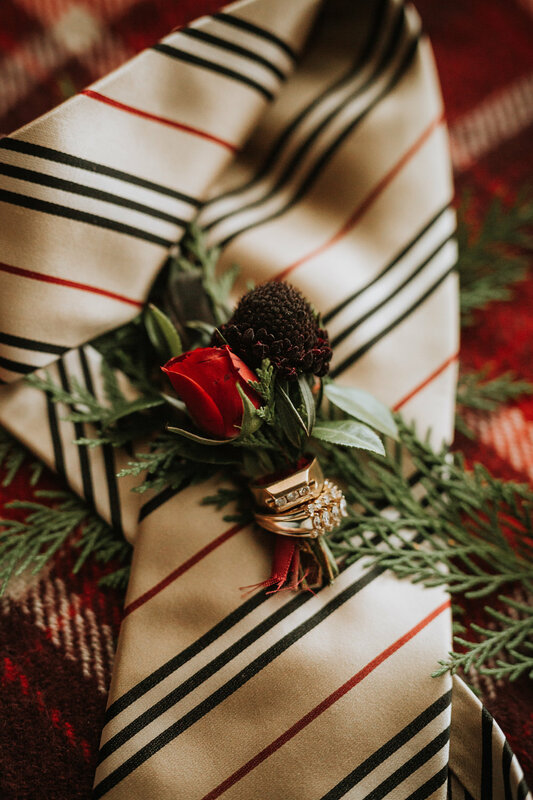 But the best part of this shoot is that I filled it with memories like my parents' wedding rings, my dad's tie, or our coat that's been in the family for 50 + years. No matter what I'm shooting, when it's meaningful it makes things x100 better.